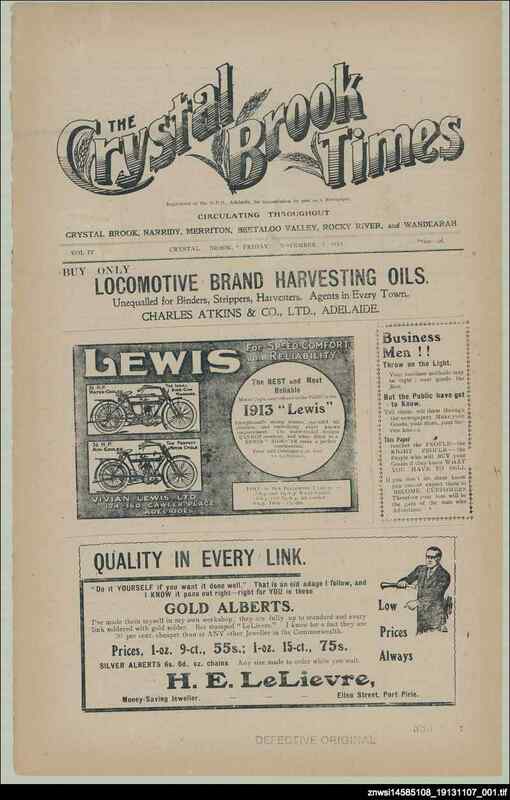 The Crystal Brook Times was the fourth country newspaper founded by James Barclay of Snowtown. The Times covered news for the district around the towns of Crystal Brook, Merriton, Narridy and Wandearah. In 1910 the newspaper was sold to T. Hartley Wilkinson. When Wilkinson moved to Broken Hill in 1913, he sold the newspaper to PJ Critchley.